Such is the universal popularity of tartan that commercial temptations often overcome historical reality and countries to whom tartan is quite alien, suddenly find themselves the proud legatees of previously unknown treasures. Frequently such ‘Road to Damascus’ revelations are accompanied by fantastical claims that this country or that country is indeed the true birthplace of kilts and tartans and the Scots are nothing more than Johnnie-come-lately usurpers. Sometimes the claims are prompted through academic naivety but most are instigated for hard-nose commercial reasons and as long as no false claims are being made and buyers misled, then it can be argued that no harm is done. After all, this is only history repeating itself- the majority of Scottish tartans started life as deliberate inventions either of the naive but gifted Sobieski Stuarts or the hard-nosed weavers, Wilsons of Bannockburn. Age bestows credibility and what is brand new today can become a venerated artifact in a hundred years. Celtic countries are probably the greatest culprits and/or the most attractive victims. 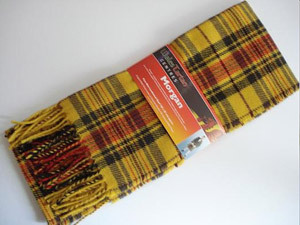 Since tartan is regarded as an ancient Celtic art form, does it not follow – ipso facto -that all Celts had tartans! 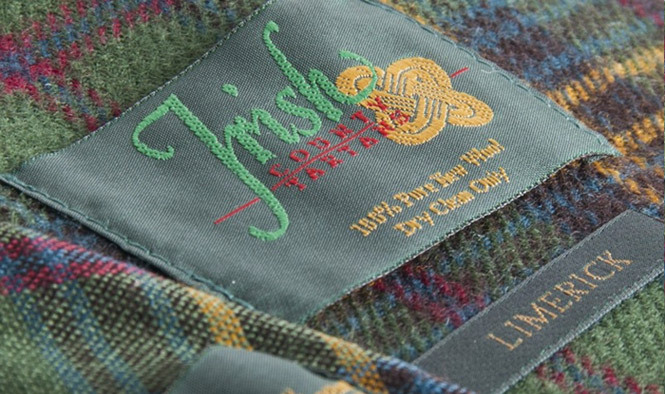 The fact that it doesn’t, is discussed elsewhere, but the commercial potential of catering for a generation seeking its ancient roots in such a tangible form as tartan, is too tempting to ignore. Ireland is probably the best example where, despite eminent Irish historians debunking any place for kilts or tartans in Irish heritage, the rare finds of tartan-clad, mummified bodies in peat bogs have pushed historical reality aside and opened the floodgates of inventiveness. Those very rare finds are most likely to have been the remains of early Highland ‘Gallowglass’ mercenaries or itinerant Scottish peddlers, but the reconstructed designs have been enthusiastically welcomed onto the Irish scene. However . ., expectations have also been raised at home and in the wider Diaspora, the burgeoning Irish clan and family tartans are all powdered with the dust of antiquity and just waiting on the shelves for their rightful claimants. And if your O’Blarney tartan isn’t amongst them? “Never mind Sir, come back after lunch and we’ll have it ready for you.” If ever clan crests are adopted in Ireland then each one should carry the motto of Caveat emptor. In 2002 just across the Irish Sea in that other bastion of Celtic heritage, there must have been much rejoicing in the valleys amongst the Evans, Griffiths, Morgans, Llewellens, Lloyds and almost thirty other good Welsh families when they discovered that overnight, they were the proud owners of some newly designed – albeit rather strange looking – tartans. Once again, a coach and four had been driven through the gates of historical reality! These new Welsh ‘tartans’ have proved very popular and have allowed bridegrooms in that country to join those in the rest of the nation in adopting Highland dress for their wedding. The trend certainly forces a sharing of the spotlight with the hitherto omnipotent bride and allows the young male to reclaim his gender’s natural role in the wild, as the peacock of the sexes.